Top Strike Resources Corp. (the “Corporation” or “Top Strike”) (NEX:TSR.H), is pleased to announce that it has entered into a binding letter of intent dated September 24, 2016 (the “LOI”) with an Australia Stock Exchange listed company, MMJ PhytoTech Limited (“MMJ”), for the purchase of its core cannabis subsidiaries, United Greeneries Holdings Ltd. (“United Greeneries”) and Satipharm AG (“Satipharm” )(the “Transaction”). Pursuant to the LOI, the Corporation, subject to entering into a definitive agreement (the “Transaction Agreement”), will pay $40,000,000 pursuant to the Transaction payable by way of a combination of: C$2,500,000 in cash; and 300,000,000 common shares of Top Strike (“Top Strike Shares”) at C$0.125 per Top Strike Share. Top Strike will undertake a concurrent equity financing of 100,000,000 Top Strike Shares for minimum gross proceeds of C$12,500,000 through the issue of shares at a price not less than C$0.125 each (the “Financing”). Upon completion of the Transaction and Financing, Top Strike shareholders will own approximately 3.9% equity of the pro forma entity. The Transaction represents a strategic acquisition of MMJ’s Canadian subsidiary United Greeneries and Swiss subsidiary Satipharm to provide shareholders with direct exposure to the rapidly expanding Canadian cannabis market. United Greeneries is one of 34 Authorized Licensed Producers of dried marijuana for medical purposes in Canada. The concurrent $12.5 mm equity offering will provide the necessary capital to increase United Greeneries production capacity with an outlook on the upcoming recreational cannabis market in Canada next year. Satipharm has a number of key international partnerships for the production and distribution of cannabinoid-based pharmaceutical, nutraceutical and wellness products, and has developed a unique oral delivery system for cannabinoids, the proprietary GelPell® Microgel Capsules, currently marketed in Europe. MMJ is the control person (as defined under applicable securities laws) of United Greeneries and Satipharm. There are no control persons (as defined under applicable securities laws) of MMJ. It is expected that the Resulting Issuer will be a Life Sciences Issuer, subject to Exchange approval. The resulting TSXV-listed entity will be positioned to become a large-scale cannabis producer targeting supply to the Canadian medical and recreational markets, estimated to be an $8 billion per annum market by 2024. The proposed Directors and Officers of the Resulting Issuer are still being established but it is expected that the Board of Directors will include: Andreas Gedeon, Jason Bednar and Peter Wall and that the CEO of the Resulting Issuer will be Andreas Gedeon (all of whom are Directors and Officers of MMJ). When known, the identities and biographies of the additional Directors and Officers of the Resulting Issuer (including the CFO and Corporate Secretary) will be disclosed by news release. Mr. Gedeon, a former Officer in the German Navy, holds a degree in Educational Science from the University of Federal Armed Forces Munich. He is an experienced businessman with proven expertise in large-scale and HR intensive projects. His previous areas of business include media production, horticulture and commercial construction. As the founder of MMJ, Mr. Gedeon currently oversees the global expansion strategy of the MMJ group. Mr. Bednar is a Chartered Accountant with more than 18 years of direct professional experience in the financial and regulatory management of companies listed on the Toronto Stock Exchange, TSX Venture Exchange, American Stock Exchange and ASX. He is currently the CFO and director of Canacol Energy Ltd., a Colombian focused oil and gas exploration and production company with an enterprise value of approximately US$650 million. Mr. Bednar has been the past CFO of several international oil and gas E&P companies, most notably the founding Chief Financial Officer of Pan Orient Energy Corp., a South East Asia exploration company, which during his tenure grew organically to operate 15,000 barrels of oil per day and had a market capitalization of $700 million. He previously sat on the board of directors of several internationally-focused exploration and production companies, including being the past Chairman of Gallic Energy Ltd.
Mr. Bednar holds a Bachelor of Commerce degree from the University of Saskatchewan. Mr. Wall is a corporate lawyer and has been a Partner at Steinepreis Paganin (Perth based corporate law firm) since July 2005. Mr. Wall graduated from the University of Western Australia in 1998 with a Bachelor of Laws and Bachelor of Commerce (Finance). He has also completed a Masters of Applied Finance and Investment with FINSIA. Mr. Wall has a wide range of experience in all forms of commercial and corporate law, with a particular focus on resources (hard rock and oil/gas), equity capital markets and mergers and acquisitions. He also has significant experience in dealing in cross border transactions. Completion of the transaction is subject to receipt of all required regulatory and shareholder approvals and other certain conditions precedent (including due diligence, completion of the Financing and execution of the Transaction Agreement). The Transaction is an arm’s length transaction and, when completed, may be considered to be a reverse takeover for the purposes of the TSX Venture Exchange (“TSXV”). The Corporation has requested that Top Strike Shares be halted by the TSXV pending review of materials for the Transaction. Trading in Top Strike Shares on the TSXV (NEX board) is halted and will remain so until the documentation required by the TSXV has been reviewed and accepted by the TSXV. This is an initial press release. The Corporation plans to issue a further press release once it has entered into the Transaction Agreement to provide, among other things, selected financial information respecting United Greneries and Satipharm and the Transaction. Subject to satisfaction or waiver of the conditions precedent referred to herein, Top Strike anticipates the proposed Transaction will be completed prior to December 31, 2016. Black Spruce Merchant Capital Corp. is acting as exclusive financial advisor to Top Strike in connection with the Transaction. 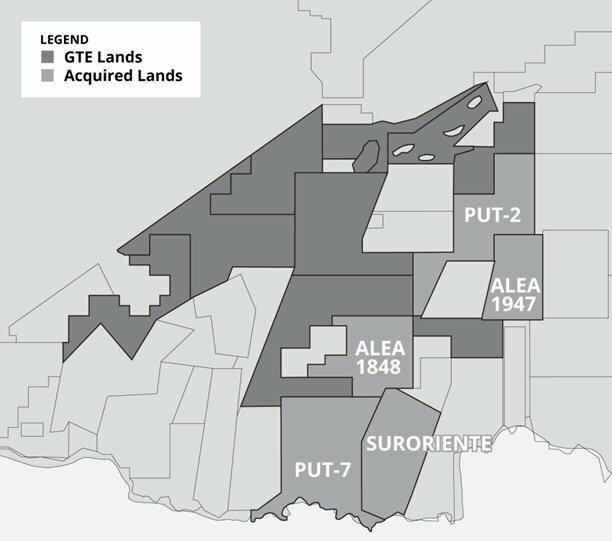 Completion of the Transaction is subject to a number of conditions, including TSXV acceptance and, if required, disinterested shareholder approval. The Transaction cannot close until the required shareholder approval is obtained. There can be no assurance that the Transaction will be entered into or be completed. Investors are cautioned that, except as disclosed in the Management Information Circular and/or Filing Statement to be prepared in connection with the transaction, any information released or received with respect to the Transaction may not be accurate or complete and should not be relied upon. Trading in the securities of the Corporation should be considered highly speculative. MMJ Phytotech has announced plans to spin-out its medical cannabis-focused Canadian subsidiaries onto the TSX Venture Exchange though the reverse takeover of a resource company. Nedlands –based MMJ, which listed on the ASX last year after completing a reverse takeover of Canada-based firm MMJ Bioscience, will spin-out its United Greeneries Holdings and Satipharm subsidiaries and pay $C40 million ($A39.4 million) in cash and shares to wholly acquire TSX-V listed company Top Strike Resources. The sale price represents about 97 per cent of MMJ’s current market capitalization based on a share price of 24 cents. MMJ will pay $C2.5 million in cash and $c37.5 million in shares to acquire Top Strike, which will then become a pure play cannabis company after adopting UGH and Satipharm’s business models. Top Strike will also undertake $C15 million equity raising as part of the transaction. If the deal is successful, Top Strike’s management team will consist of representatives from MMJ and UGH. “The transaction provides MMJ shareholders with the opportunity to benefit from the significant value currently being realized by TSX-V listed cannabis producers such as Aphria, Canopy and Aurora,” MMJ managing director Andreas Gedeon said. “The board has been assessing the merits of obtaining a public listing in Canada for some time, and Top Strike represents a compelling and timely opportunity. “MMJ shareholders will continue to benefit post-transaction, from indirect exposure to the rapidly expanding Canadian cannabis market, and near-term revenues generated from increased Satipharm sales through key regulated markets globally. Canada-based Black Spruce Merchant Capital acted as a lead manager to MMJ on the deal. Shares in MMJ were 8.6 per cent higher to 25 cent each at the close of trade. Energy banking veteran David McGorman has joined Calgary-based Black Spruce Merchant Capital ahead of an expected uptick in oil-patch deals. Mr. McGorman, who was chief executive officer of Jennings Capital when that firm was acquired by Mackie Research Financial Corp. in 2014, started this week as managing director of investment banking for Black Spruce, a small shop that concentrates on the junior exploration, production and oil-field services sector. At Mackie, he was vice-chairman and head of energy investment banking. Black Spruce CEO Sonny Mottahed said Mr. McGorman’s experience is expected to benefit the deal-advisory firm as stubbornly low oil and gas prices yield more asset sales and takeovers. “The fuse is getting shorter and shorter,” Mr Mottahed said. “Everybody kind of sits back and hopes for commodity price recovery. Conventional [exploration and production] companies do get immediate benefits from increases in the commodities, but at the same time there’s immediate pain when the commodities turn the other way and we’ve seen more of the latter than the former. Before joining Jennings, a boutique that had struggled amid a downturn in business before it was sold, Mr. McGorman worked at Chase Manhattan Corp., Raymond James Financial Inc. and Haywood Securities Inc.
A sudden regulatory shift threatens to curb Canadian energy asset deals, just as producers and creditors look to unload properties two years into a crude market downturn. The Alberta Energy Regulator made a surprise rule change Monday evening, requiring a more stringent solvency test for buyers of oil and natural gas assets. While the move is meant to ensure purchasers can cover well cleanup costs, some dealmakers say it will also hinder transactions. The rule change — meant to be an interim measure — is in response to an Alberta court decision last month. That ruling, which the regulator is appealing, let the receiver of bankrupt oil company Redwater Energy Corp. walk away from some assets it deemed unprofitable, plus the related clean-up responsibilities. The case triggered a broader discussion over how environmental liabilities should rank among debts of an insolvent producer, as more default on their loans with U.S. crude still about 50 percent below its mid-2014 peak. The main change from the regulator is the doubling of the liability management ratio for asset buyers. The rating is a reflection of the extent to which a company’s assets cover its liabilities related to well cleanup. Purchasers are now required to have ratings of 2.0 or higher, up from a minimum of 1.0 previously. About 72 percent of 788 licensees evaluated have ratios below the 2.0 threshold, according to the regulator’s online list. Among those with ratios below 2.0 and with a mandate to buy assets are Pine Cliff Energy Ltd., Northern Blizzard Resources Inc. and Spartan Energy Corp., Ryan Mooney, a director and energy specialist on Dundee Capital Markets’ sales team in Calgary, wrote Tuesday in a note. Phil Hodge, chief executive officer of Calgary-based Pine Cliff, agreed in a phone interview that the company, which has been acquiring assets for more than four years, may be impeded under the new rule. More concerning though is the potential broader impact on the industry, Hodge said. With low oil prices, the company is more focused on improving its balance sheet than making purchases, he said. Chief executive officers of Spartan and Northern Blizzard didn’t immediately return messages seeking comment. Buyers can improve their rating by taking a number of steps, including posting a security, addressing existing abandonment obligations or selling assets, according to the regulator’s bulletin. The move was a “chilling announcement on the first day of summer,” Carolyn Wright, a partner at law firm Burnet, Duckworth & Palmer LLP in Calgary, wrote in a note on Tuesday, calling the development sudden and dramatic. “It is expected to have a chilling effect on the rise in transaction activity in a province struggling to get back on its feet following a two-year long rut in commodity prices. The Alberta regulator’s change, which doesn’t affect corporate takeovers, is meant to prevent asset deals in which the buyer risks adding to the so called orphan-well backlog. When bankrupt producers are unable to cover the costs of repairing lands where they pumped oil and gas, the Orphan Well Association, an industry group, becomes responsible for dealing with them at the expense of other companies. But the regulatory shift may actually push more of the responsibility onto the Orphan Well Association, if struggling producers can’t find buyers for their assets and end up insolvent, said Pine Cliff’s Hodge. Black Spruce’s Mottahed said he doesn’t expect the rule change will kill transactions altogether, but it could lead to more corporate takeovers or different kinds of financing arrangements, he said.